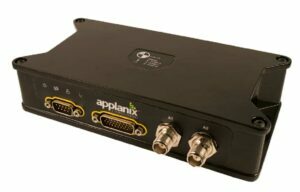 Applanix, designs, manufactures, sells and supports inertial-aided GNSS technology for directly georeferencing imaging sensors on land, in the air and at sea. The de-facto industry standard for marine survey and aerial mapping from manned platforms, Applanix has an extensive portfolio of offerings in the unmanned world too. Established in 1991, Applanix supports its growing global customer base with exceptional service. 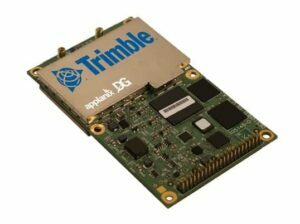 Since 2003, Applanix has been a wholly owned subsidiary of Trimble. Applanix Direct Georeferencing technology works with airborne UAV mapping sensors – including cameras, Light Detection and Ranging (LIDAR), and hyperspectral sensors to perform highly efficient and automated mapping and surveying. Direct Georeferencing cuts down on or even eliminates entirely the use of Ground Control Points (GCPs), thus reducing both the flight time and processing time required to generate final map products. 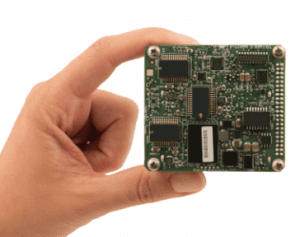 The APX-15 UAV is a single-board GNSS-Inertial OEM solution that provides superior accuracy and performance in an extremely small package. 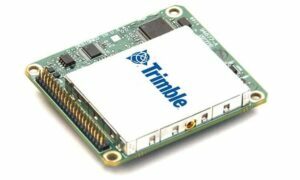 Measuring just 6cm x 6.7cm and weighing only 60 grams, it incorporates a survey-grade multifrequency GNSS receiver and MEMS inertial components. The APX-15-EI UAV is a dual-IMU (Inertial Measurement Unit) version of the APX-15 – one IMU is embedded onto the GNSS-Inertial board mounted on the UAV airframe, and the other is connected remotely via an external sensor contained in a gimballed mount. This solution allows the APX-15-EI UAV to compute two sets of orientation data for direct georeferencing of two separate sensor payloads. The APX-18 UAV is a single-board, dual-antenna solution that delivers the highest position and orientation accuracy for low-speed multi-rotor survey applications such as building façade scanning. Measuring just 10cm x 6cm and weighing only 62 grams, the APX-18 UAV uses on-board inertial sensors for superior performance in a compact form. 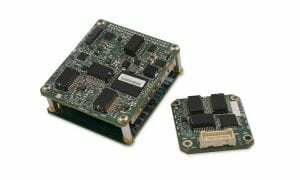 The APX-20 UAV dual-IMU solution has been developed to satisfy the requirements of high-accuracy applications such as higher altitude, Beyond Visual Line of Sight (BVLOS) UAV flights and higher resolution, larger format imaging sensors. 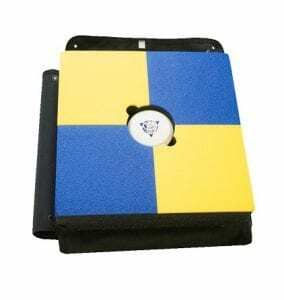 The Trimble GNSS Smart Target Base Station is a survey-grade multi-frequency, multi-constellation GNSS reference station contained within a durable foam Ground Control Target. Easily installed within a target area, the Base Station wirelessly gathers the raw GNSS data required for post-processed Di¬fferential GNSS positioning along with data from the Rover receiver in a mapping UAV. The target also acts as a photo-identifiable Ground Control Point (GCP) for quality control. The Base Station can be controlled via either a desktop web browser or smartphone app, and is supported by both Applanix POSPac UAV and Trimble UASMaster. POS MV SurfMaster/SurfMaster One is a user-friendly, turnkey system designed and built to provide accurate attitude, heading, heave, position, and velocity data of your marine vessel and onboard sensors. POS MV SurfMaster/SurfMaster One is an entry-level product, which delivers robust geo-referencing for small platforms, both manned and unmanned. The product is available both with a remote IMU (POS MV SurfMaster) and in single-enclosure form factor (POS MV SurfMaster One). Fully supported by Applanix’ industry leading post processing software, POSPac MMS, SurfMaster/SurfMaster One delivers roll and pitch accuracy to 0.03 degrees. POS LVX is a compact, fully integrated, turnkey position and orientation system, utilizing integrated inertial technology with survey-grade GNSS to generate a stable, reliable and repeatable positioning solution for land-based mobile mapping and guidance applications. Easily integrated with many types of sensors including optical, infrared, and lidar, the POS LVX delivers Inertially-Aided Real-Time Kinematic (IARTK) positioning in a small, lightweight form factor. The POS LVX is housed in a robust, rugged enclosure and can easily be incorporated into small vehicles, autonomous platforms and tight spaces of all types. POS LV 125 (Position and Orientation Solution for Land Vehicles) is a compact, fully integrated, turnkey position and orientation system, utilizing integrated inertial technology to generate stable, reliable and repeatable positioning solutions for land based vehicle applications. It is designed for precise positioning and use in autonomy and field robotics applications as well as entry level mobile mapping. POSPac MMS is Applanix’ next-generation, industry-leading software for Direct Georeferencing of mobile mapping sensors using GNSS and inertial technology. Optimized for land, air and marine environments and unmanned vehicle platforms, POSPac MMS is compatible with a wide variety of mapping sensors, delivering maximum accuracy and maximum efficiency for Direct Georeferencing. Avoidance of re-work costs with more robust and accurate integration algorithms. 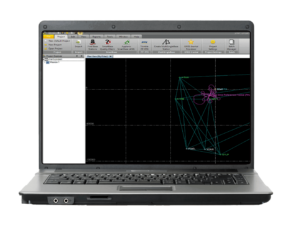 Also available is POSPac Cloud, the online version of POSPac MMS that provides an Application Program Interface (API) for Original Equipment Manufacturers (OEMs) to seamlessly integrate high-accuracy Direct Georeferencing into their mobile mapping workflow. Applanix SmartBase is a web service that uses existing ephemeris data from public base station infrastructure around the world to generate a virtual base station at the center of your trajectory, providing data to you in an industry-standard RINEX file format. By submitting this form, you consent for your details to be sent to Applanix and its authorized partners in order to respond to your inquiry. Depending on the location of the organization, your personal information may be transferred and processed outside of the European Economic Area.